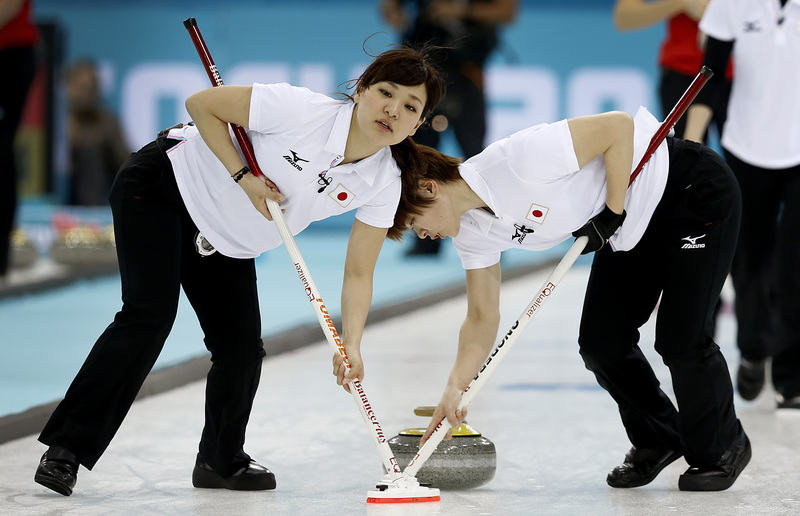 SOCHI, RUSSIA - Britain set an Olympic record by stealing five points in one end en route to a 12-3 win over Japan on Friday, securing back-to-back wins for the world champions at the women’s curling tournament. The Japanese conceded the game after seven ends because of the large point differential, and the British (3-2) boosted their chances of reaching the semifinals. China has the same record after needing only eight of the allotted 10 ends to beat South Korea 11-3. Japan made several small mistakes, passing a stone through the house and bouncing one off the guard rail, while the British team seemed near flawless. Also, Erika Brown’s U.S. rink could be out after a 9-2 loss to Denmark left the Americans 1-5. No team — men’s or women’s — in the three previous Olympic tournaments featuring a 10-rink lineup has qualified for the playoffs after five losses. Also Friday, Sweden ended China’s unbeaten run in men’s Olympic curling with a tense 6-5 victory in overtime, and Canada produced its best performance of the tournament to defeat Norway 10-4. The results intensified the fight for the semifinal spots, with Sweden (5-1) supplanting China (4-1) in first place. Improving Canada is 4-2 and climbed above Norway (3-2). In the other game in the morning session, the United States beat Germany 8-5 for its second win in five games, keeping alive its faint hopes of a top-four finish. The early fixture schedule had been kind to the Chinese at these Olympics, and Sweden was their first real test. They came up short — just — but even in defeat, they showed they will be in for the long haul at these Olympics. In a nip-and-tuck game, China scored a point in the 10th to take it to an extra end. Sweden skip Niklas Edin played a good takeout with his next-to-last stone to remove two Chinese rocks and then made a draw to the 4-foot ring with his final shot. It was another narrow win for a world champion team that has carved out a reputation for being the grittiest on the circuit. Edin said China, which has never won a major tournament but is improving under part-time Canadian coach Marcel Rocque, should no longer be underestimated. Ominously, Canada has found its form and its famous energy levels that swept the team through its Olympic trials unbeaten for the first time in the country’s storied curling history. This was the Canadians’ third straight win after a sluggish start — and the roar and fierce fist-pump that skip Brad Jacobs greeted his game-defining four-ender in the seventh end spoke a lot of his current mindset.